« Got HTC Desire Android 2.2 Froyo Update…? October looks to be lower in earning but it happened only because I have not been updating any of my apps in this month (I have been moving to new house and had no time for it...). So as you may see income has not been high on the begging but with each month with regular updates and new apps it has been growing very rapidly! All comments are welcome and very desired. For more details you may want to check my eBook. What kind of ad platform(s) are you using? Is it pay-per-click or pay-per-impression? It is pay per click. Which Ad network do you use? Have you tried any other networks? Very interesting to read this. I always had the feeling that Android has bigger potential to generate revenue for the developer, since the qquality of apps has lots of room for improvement and there are less apps atm. Never expected that banner reveneu was this nice. Thanks for posting the $ details, very interesting post. Looking forward for updates. Where do you host the app files? How much is the bandwidth cost? There is no bandwidth cost. It is hosted on Android Market servers. A bunch of us have been looking for an IT/Computer tracking app for android and are willing to pay for it. Any chance you’d be interested? Please send me more details what kind of app via contact form. How did you learn Android Development? That income is kind of, well, low. It’s not a livable wage, but it’s a nice passive, supplementary income. I’d love to have en extra $1000 a month to play with that I didn’t have to go to work for. Except that he says that he is having to make regular updates in order to keep that income going. In October his income went down and he notes that during that month he wasn’t able to publish any updates. So, not exactly passive income. Except it only went down by $500 to $1000 or so. Zac said he wouldn’t mind having another $1000 passive, so it looks like that is possible from this post. $1000 is more than the average monthly salary in Poland (or in Hungary/Slovakia/etc). So, it’s not bad at all. Congratulations on your success. Keep going! jumptap? which one did you use? it´s good to hear a story which is of not so famous apps. most stories and figures one can read is from the big ones. how much time did you spend developing these apps? $1000/month is decent if you spend a few hours, and not so interesting if you spend a few days. Not as much time as anyone may be expecting… Anyway you still need to do something to make some money. Huh? Say it took him a month’s worth of work to the point he’s making $1k/month. That’s not interesting? Say with another month’s work he can get tht up to $2K/month, still not interesting? How about, after a year, he’s making $10K/month? Still not interesting? I’d say you are either clueless, or rather well enumerated for a job you enjoy. Given that your idea of a reasonable amount of work to create multiple apps is a few hours, I’d guess clueless. Congratulations! Its great to see other developers succeed. I need to publish my numbers soon. So the real question is… what are you active installs numbers? it’s great to hear about your success. My question is about how many hours a week do work on your apps? Great job Chris! Yes it is low but I will LOVE to have that low for my apps (Palm OS…yes..yes I know) I am also learning Android and I kind of agree that free apps (ads support) is a very good way to make some money (sometimes a lot) My understanding (and I can be wrong) is that there is about a 7/1 download for free vs pay so my making your app free you automatically get an advantage in terms of downloads, word-of-mouth and so on. Great going Chris! .. Keep it up.. Such a post was long awaited and would act as a boost to all new to the Android environment. Hello Chris, nice article. I too make pretty good money from a couple of Android apps. Not “quit my day job” money, but nice supplemental amounts. I’ve noticed a lot of Apple developers downplaying the Droid market claiming that while the Droid market might earn them $200 a week – the iTunes store earns them $200 a day for the same apps. The general idea amongst them is that iPhone users are willing to drop a few dollars for an application while a Droid user wants everything for free. I am not agreeing with any of that, this is just what I have read. For that matter I have no experience in the Apple market and I have never owned an iPhone. I have tried both selling my apps, and giving them away. The free ones all have a single AdMob banner and generate advertising revenue. The paid versions are $1.00. The Ad revenue makes FAR MORE than the sales from the store. But – it probably also has something to do with the apps I am making. With Goggles current restriction on “mature content” I am making apps which push the boundaries and tempt the censors to remove them. I have had two apps suspended. But I figure, if one app is making $20+ a day and they cancel my account … I will make another one for $25. It will pay for itself, right? :-) Also … they only suspended the paid apps, and not the free versions of the same app. I can speculate on why that would happen … but who knows! Anyhow, I generate between $20 and $40 a day. On some days I make around $60. But to retain that kind of revenue requires pretty frequent updates. I am in it as long as I make this kind of money. I am socking money away in a savings account trying to earn a down payment on a house. So you just confirmed what you you denied earlier? Isn’t that a huge contradiction and doesn’t it actually prove what you think the “Apple developers” think? Also, it is called Android. Droid is Verizon’s brand of Android. I was comparing my paid apps to my free apps, all in the Android market. I have no experience in the Apple market. What I see Apple developers saying (in various forums) is that if they build the same exact app for both platforms, the Apple version makes considerably more. What techniques are you using to advertise/market your apps. 268,000 downloads is really impressive! Nice article and good to hear you’re profiting… sounds like you’re making some decent returns on your apps. Like one of the posters said, it’s not a livable wage but it’s good supplemental income. The apps I have on the market (Call Faker, SMS Faker) have both ad-supported and ad-free versions; both generate a similar revenue per month which is nice. give me light. 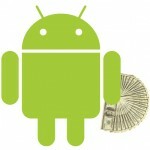 thx to share your android app income detail. Hi, interesting to read such article. How do you manage to test all different devices (both hardware and software), and also different kind of locales ? Do you think that investing time in translations will pay off? For translating to for example chinese, french, german etc. I have an app on market myself which is ad-supported by admob (only about $10 TOTAL so far. ), and I also noticed there’s a high drop when not updating the app for a while. I would find it interesting to know what active install ratio/percentage you also have on your app since this reflects the amount of active users better than the total amount of downloads. What is your ad provider? One nice thing about this post (thanks for sharing numbers!) is that the “release early, release often” model is the best (in terms of revenue) for mobile apps. How do you promote your apps ? only andriod market ? Hey congrats with those numbers and thanks for sharing! I have a free app too with ads from admob, still in the lower download numbers (5-10K). My ad-income is much lower than yours, nowhere near your numbers. It seems ads-income start to count when you’ve got large download numbers. It would be interesting to see the ratio per app versus the income per month. And I’m also definitely interested in which ad-provider you use. A few people already asked for that too in the comments, you haven’t answered that question yet. Are you worried too many people go use that ad-provider thus bringing down your income? I don’t develop apps, but I do enjoy using them. I make my money doing Pay Per Click Management. Keep it up over there in Poland! Jason Fried wrote a great article about how to price apps. Google him. How much time do you spend everyday on your app development? hi, i tested some of your apps with my galaxy s, but i wondering that i can’t find any ads… is it because i’m from germany and local ads does’nt exist? Have you been connected to Internet? Ads are served from server and it must be downloaded on each app run. Moreover it depends if any advertiser is interested in some localization at certain time. Thanks for sharing KreCi, always good to hear how another Android developer is doing. It’s really unfair that Google allows Polish users to buy apps but not Polish devs to sell apps! Anyway, you seem to be doing pretty well from ads (your Cracked Screen app is really funny! ), good luck with your November earnings. Hey KreCi! thanks for sharing and congratulations! Just came across this page via onstartups. nice update, keep posting more for people to be updated about your android developments! How is “October looks to be lower in earning” true when I see that in the month of October you made 1K and in May you made 4 bucks ? Hey there. i’m interested in Developing. So i’m gonna try it. i’m living in Poland. The same country as yours. Would you mind if i ask you any contact? Do you have to add some specific code to your app to enable advertising? I need to attach a library from advertiser. That is all. What ads do you display ??? How to submit to android market ??? I will remain anonymous but I will say the Android Market is great for people who want to make passive or active income. I currently make close to $10,000 a month and this is with it growing ever since my company first launched early 2009. At this rate I’m making around $100,000 a year from starting what was a hobby with my new Android phone in a few months and with these current projections I should be making well over $130,000 a year in the next few months. It’s excellent for a developer and since it is not as saturated as the Apple store it’s the perfect time to get your unique ideas out in the market or improve on areas where rushed developers have published weak apps. The money is definitely there..people are willing to pay money for quality and that’s what I give them where others in my category of apps don’t…and on top of my current earnings I’m NOT even using adds AT ALL…Heaven forbid I start adding apps to my applications…That may double or quadripple my monthly earnings. Oh and for anyone curious..my apps range from $1.25 to $8.95 with $1.99- $3.99 being the average normal cost range per app and anything more or less than that special case appps. Which ad network are you using???? I work also for Poland based company and we struggle that we can’t sell games directly. With our next game we will try to publish only free version and try to earn from that. Currently we are not happy with number of sales on Android Market, but let’s see what happens with next games. Thanks for sharing these details. I’ve been studying (and blogging) all sorts of angles on earning money on my Android apps since I started developing them, and I’ve been using several different ad networks and a few different App stores. It’s interesting to see that your income is entirely ad-based. I currently make more from sales than ads, but that partly due to the type of app I have – games tend to have more play time. I haven’t seen that level of income growth that you have, but hopefully when I release more apps that will be possible. I have movie android app and has only total 120k downloads and earning $400/day using ad notification. We’ve had a game available for almost 2 months and have racked up almost 30K downloads. We’ve been fairly-well received, with more than a 4-star average rating, but the revenue from the AdMob banner that’s displayed throughout the app has only ranged been between $1 and $10 a day! Comparing Cracked Screen and my own app right now, I’m seeing exactly the same ads appear on both, so I’m guess KreKi is also using AdMob? KreCi, how have your downloads changed since Google ditched “Just-In”, meaning that simply updating the app doesn’t get you the instant exposure it used to? It’s definitely killed our download rate! My downloads are higher than before. Just in is mostly dead – but there are still a few more underestimated by ohers ways for good exposure. Thank you for this article, it is the good encouragement for many out there. can you update the payments, please? I was looking all over the internet for an article like yours. Its talking about facts and numbers. Its not just an english essay. Hey, which Ad Network are you using? I’m very interested in trying Ads on my Apps. Thank you and congrats for your success! I am thinking of starting android development. But compared to 2010, it is more competitive field now. There are thousands of application already available for android. Is it still possible to start and earn that much money now? With the current SDK and tools it is even easier. Just the good idea counts! Thanks for your blog. It has given me some light. I would like to ask you, did you have a knowledge of programming before you started developing Android apps? I have been coding in PHP and knew basics of Java. If I develop an app which would be used by, say, 10,000 new people every year, would I be able to earn sponsorship from the corporates and if yes, how much would that amount be? To make some money you need to have at least 10000 new users per month. But it will not cover your living expenses. 10000 per day sounds better. I have done my graduation.in electronics as I am good in C programming language so I’ve decided to develop some Android apps I m learning from udacity free tutorials’ and books I m in a learning stage. The market is very saturated is there any benefit to enter in the market qt this point of stage ?